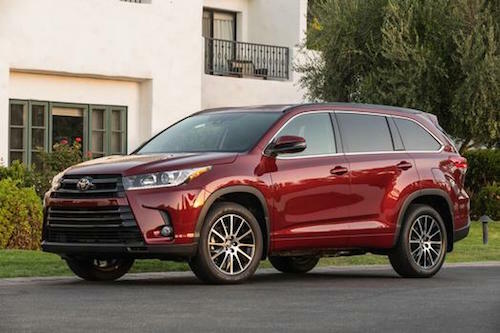 Are you interested in learning more about the Toyota Highlander in Indian Wells, CA? This medium sized Toyota crossover vehicle offers abundant versatility, cargo space and driving dynamics similar to a sedan. It is offered with a choice of gasoline or hybrid engine and packed with convenience, technology and safety features. See our full inventory of new Toyota cars and trucks online and compare prices, estimated MPG, vehicle photos, trim and color options for Toyota Highlanders near Indian Wells. Our team is on standby to answer your questions or arrange your test drive of a Toyota Highlander near Indian Wells, California. Please feel free to contact us or stop by our showroom.